Without a solid strategic plan, an organization has no road map…no way to know where they are going or when they’ve arrived. MSA’s consulting team has extensive experience in assisting their clients with the development and execution of strategic plans that ensure organizational alignment to achieve your Vision and Mission. 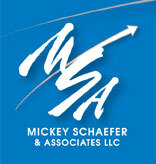 Contact us today to learn more about how MSA can help your organization achieve its objectives. The importance of staying strategic in everything you do is underscored by the growth of the Travel & Tourism Industry. The Travel Industry Association of America (TIA) reports tourism as a $1.3 trillion business that generates $100 billion in tax revenues and creates 1.7 million jobs or one of every 8 jobs. Because tourism is increasingly on everyone’s radar screens, DMOs, CVBs, and other tourism entities will be pulled in many directions. Everyone will want a piece of the pie, especially as travel and tourism continues to grow in prominence. Creating a strategy-focused structure that shows everyone (Board, Staff and Volunteers) how they fit into achieving the organization’s mission. Guiding resource allocation to meet key objectives; eliminating programs that no longer deliver value. Creating a process improvement culture that breaks down closed-minded thinking. Nurturing a learning and growth environment that gives staff what they need to keep pace. Gauging performance against desired outcomes via key measures and metrics. Reinforcing the member value proposition to “delight the customer”. Through careful alignment with industry consultants, MSA delivers strategic solutions to your organization’s needs. Contact us today to explore this exciting management model and how you can be on your way toward becoming a Strategy-Focused, high performance organization.